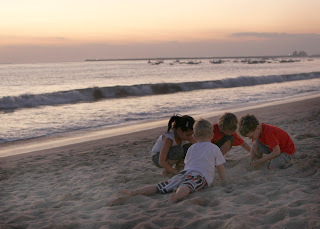 Sure, for children (as for adults) Bali’s principle attraction is the beach but there’s plenty more to keep them entertained in the island paradise. From exciting rides at Waterbom Park to exotic wildlife at the Bali Zoo here’s our pick of 10 fun things to do with your kids. This relatively new activity called sea walking, involves literally walking on the sea bed. Conducted at a depth of 15 ft for 20 minutes per session, participants get the opportunity to come face-to-face with underwater marine life. Easy to spot here are fire corals, Anglerfish and occasionally the Mola-Mola (Sunfish). An instructor is present at all times making it a safe, fun activity for the entire family to indulge in. You’ll be happy to hear knowing how to swim is not a requirement for sea walking. Situated in Eka Karya or the Bali Botanical Garden, Bedugul, this adventure park is a great destination for fun activities with kids as young as four. They can suspend from the sky or swing from the treetops like Tarzan at any of the seven Adventure Circuits. One of the circuits called the Squirrel Yellow Circuit is designed especially for younger children (from ages 4 to 8). It comes with complete supervision at all times and has an easy-to-complete obstacle course (footbridge, monkey track, fishing net) and a mini Flying-Fox. As you progress from one circuit to the other the level of difficulty increases. The ultimate challenge here is the Adrenaline Black Circuit. Supervised at all times, it features adrenalin pumping 20m jumps and a 160m-long Tarzan Flying Fox. It’s open only to teens over the age of 14. A huge display of Indonesian wildlife can be seen at the Bali Zoo. 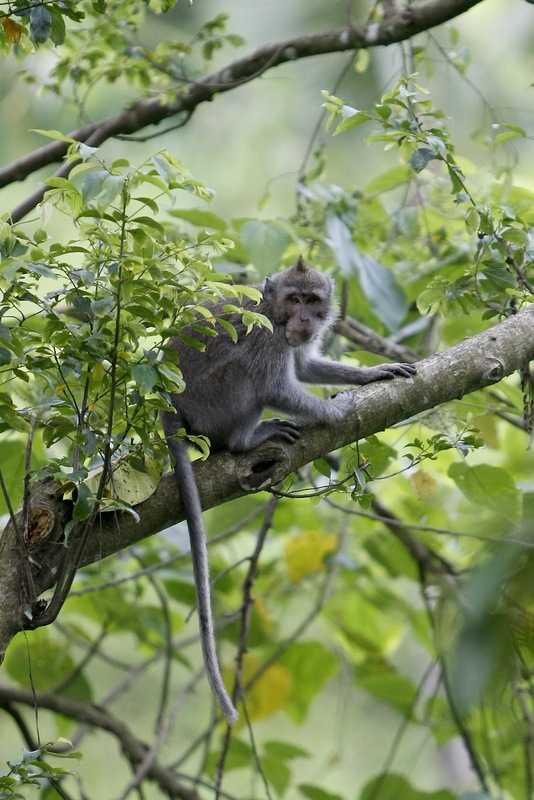 Visitors are taken on a virtual jungle tour of the zoo that features a petting area where kids can touch domesticated animals such as horses, baby deer and rabbits; Gibbon Island’s where the famous primates can be swinging from tree to tree. 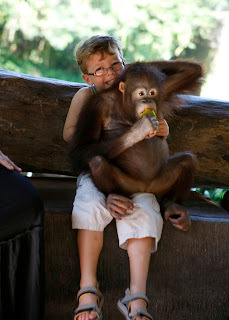 There’s also an area where kids can themselves feed wallabies, sun bear and orang-utans. Children as young as two, accompanied by an adult,can have a go at feeding some of the more wilder animals such as crocodiles, tigers and lions, with the help of their keepers of course. The two popular rivers here, ideal for white water rafting are the Ayung River and Telaga Waja River. 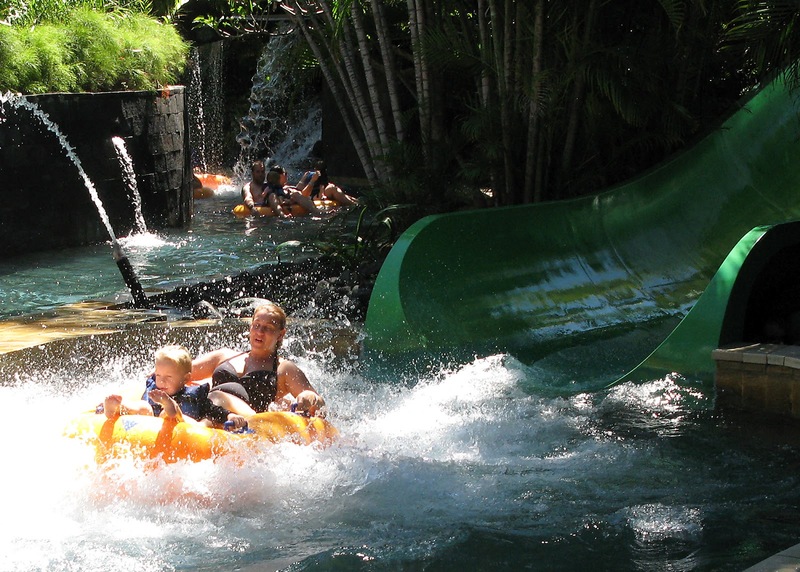 Both offer varying levels of difficulty so choose a stretch of rapids based on the age of your child. Home to some of the more challenging rapids, with breath-taking scenery to boot, is the Telaga Waja River. The Ayung River in contrast provides calmer rapids making it more suitable for younger children. Bali SOBEK and Bali Adventure Tours (both adventure companies) organise thrilling rafting experiences. Bali SOBEK offers rafting experiences for kids above seven years of age, on both Ayung River and Telaga Waja River. Rafting with Bali Adventure Tours is limited to the Ayung River and minimum age required is five years. 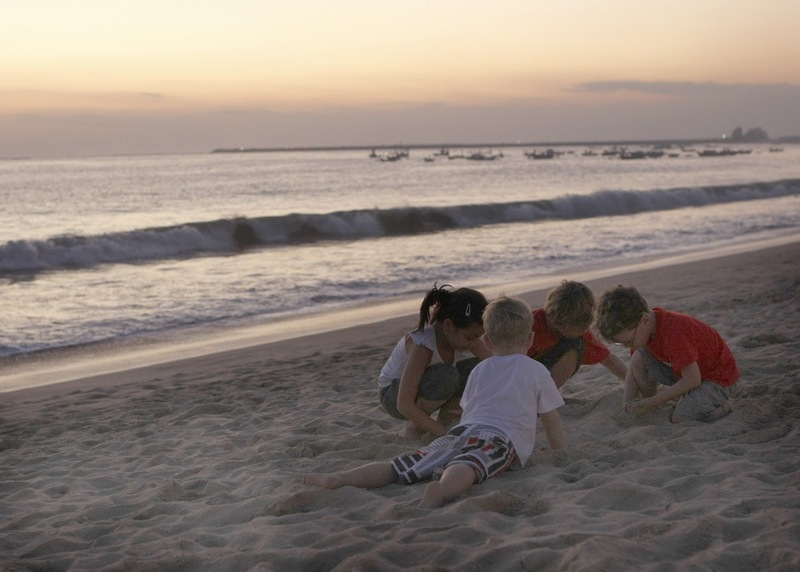 Take your kids to the Mandala Wisata Wenara Wana or simply the Sacred Monkey Forest Sanctuary for a wonderful experience amidst Bali’s exotic flora and fauna. The idea behind this sanctuary is to educate children on the importance of conserving our natural resources. Well-trained guides take you around the Sanctuary that has many temples that are considered sacred by Balinese Hindus. Home to about 340 Balinese long-tailed macaques and 115 separate species of trees the Sacred Monkey Forest Sanctuary promises to be an informative place to visit with your kids. Some of Indonesia, Africa and South America’s rare tropical birds are to be found here. The park is home to almost 1,000 birds of 250 different species. 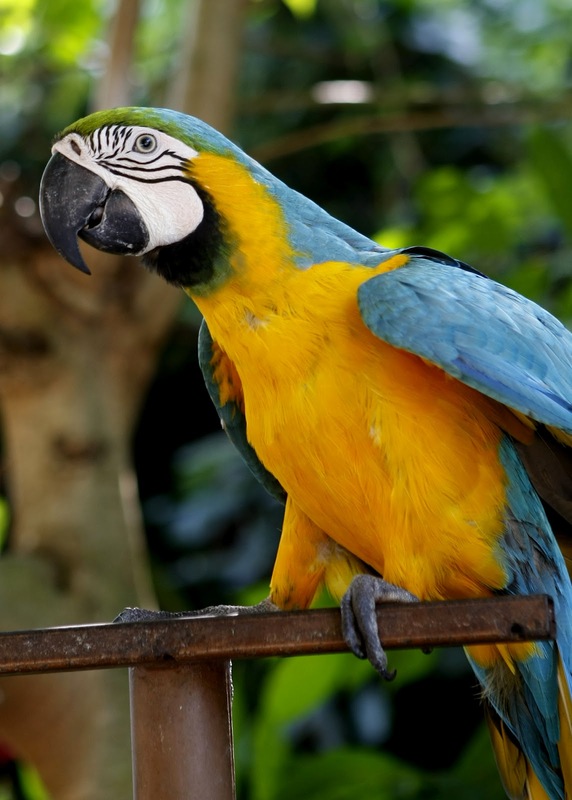 It features giant walk-through aviaries that are designed to replicate actual rainforests. At this park kids can pet a number of birds and witness a show featuring eagles, owls and macaws. Visit the bird nursery to see how they are bred. You children can feed the parrots, cockatoos and hornbills and have them sit on their shoulders. Bird handlers supervise this and do their best to ensure the birds behave themselves. Opened in 1993, Waterbom Park houses more than 17 exciting water rides making it an ideal destination for fun and entertainment for multiple age groups. The park is located on the Kuta stretch and features slides like the Smashdown, an eight storey-high slide that’s built at 60 degree incline. This means you can reach speeds of up to 70 km per hour. Then there’s the Boomerang that slides you down 20m and pulls you back up before you can even blink an eye. Parents can feel safe about the rides at the Kiddy Park, which is always supervised and is specially designed to make it child-friendly with easy slides and fun games such as water cannons and jets. See the rarest of animals such as the Sumatran elephant (one of three recognized subspecies of the Asian Elephant), white tiger, and Komodo dragon at the Bali Safari and Marine Park. You can take a guided elephant ride to see these animals up close. The Marine Park here houses the Fresh Water Aquarium, which is home to almost 40 species of fresh water fish, including the white tip shark. Don’t miss witnessing the park keeper feed the 10ft-long-piranha. In addition to all this the Dolphin Encounter attraction is scheduled to open soon. Kids as young as eight can learn how to scuba dive with the PADI Bubblemaker course offered at Blue Season Bali, where basic techniques to experience the underwater world are taught in a pool no deeper than 6ft. A full range of diving courses are available here for those above 10 years of age, from Discover Scuba Diving for beginners to the more advanced Open Water Diver. The Liberty wreck in Tulamben, where the American ship, The Liberty was torpedoed by a Japanese submarine during World War II, is Bali's most famous and accessible dive. This is one of the safest wreck sites and amongst the top 15 dive sites in the world. Rich in underwater flora and fauna, it makes for a superb diving destination for the entire family. Take you kids to the Devdan Show at Bali Nusa Dua Theatre where they can enjoy a fantastic recreation of the history of Indonesia's culture and diversity through theatrical performances. The show is called Devdan Treasure of the Archipelago and features traditional Indonesian dances, thrilling aerial acrobatics and spectacular special effects. The show takes place four times a week at the famous theatrical complex, Bali Nusa Dua Theatre. Nestled in the heart of Bali’s touristic enclave and next to the Bali Collection Shopping center this top tourist attraction is a must-visit with your kids. Fabulous photos,what an adventure for the boys ! Great post, makes me want to head there right now! You guys would love Bali. Lots of cool things to do. I am very interesting in this blog. I like way of your writing. This content is very nice.